WBRC’s parent company, Raycom Media, Inc., is an employee-owned broadcast company with more than 50 television stations throughout the southern, eastern, and midwestern United States. Headquartered in Montgomery, Ala., Raycom provides services for stations covering more than 16% of U.S. television households. 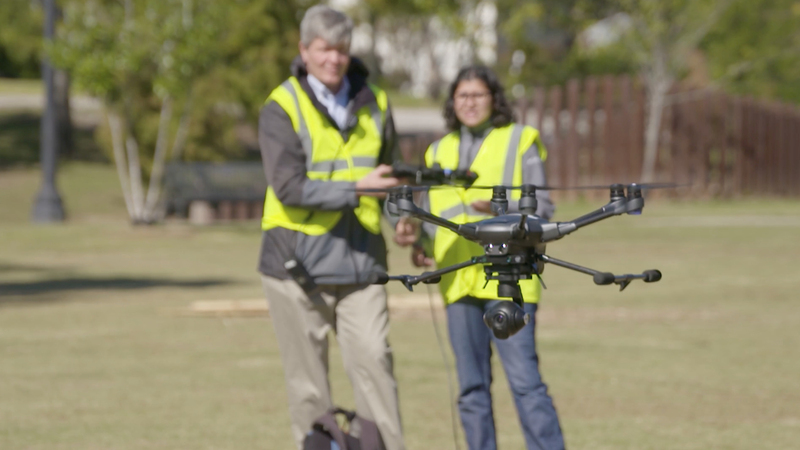 With such a broad audience, aerial coverage is a must, and with drones increasing in popularity in the media, Raycom wanted to be at the forefront of media innovation. Following the successful launch of its first drone program at WBRC, Raycom has launched drones at about 20 other Raycom stations. For now, each station has just one drone and one or more pilots, but in the coming months, Raycom plans to scale up its drone program to include at least 40 stations. How does a major enterprise like Raycom with 50 different locations—which means 50 different jurisdictions, local ordinances, systems of operation, and topics of concern—manage such a large operation? How have they been able to scale so quickly and successfully? We put this video together to show Raycom’s news drones in action. I also had the opportunity to talk with James Jefferies, Senior Director of IT Development and a long-time employee at Raycom. Careful planning and execution, he explained, has been the key to their success. For Raycom, setting up drone operations required four essential steps. Raycom began to consider how drones could become a part of their broadcast news system years ago. As the technology progressed and became a viable solution for obtaining aerial footage, and as the cost of manned aviation increased, they saw the value of adding drones to their video production toolbox. Raycom brought together a team of drone enthusiasts within the company to establish interest in a drone program. They paired that with corporate legal and risk management executives to ensure they were treading on safe ground. 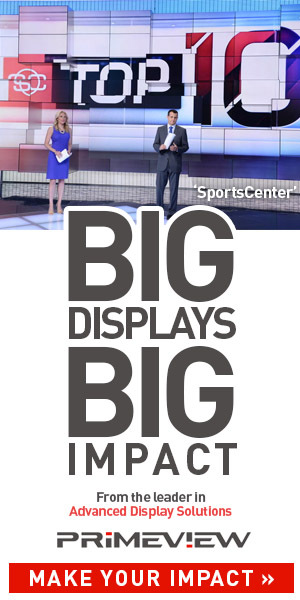 James then gave demonstrations at Raycom company conferences to show how drones could contribute to daily broadcasts. Before long, several local stations began to express excitement about the idea of using drones. Even after gaining buy-in from affiliate stations, Raycom knew they had a lot of work ahead, especially prior to the FAA’s release of Part 107, the federal rule governing commercial drone operations. “We began in the Section 333 days, but Part 107 has made it much easier for reporters to use drones to gather the news,” James says. There was a huge amount of documentation and data to keep track of just to be legally compliant, and he had to figure out a way to track it all. As an internal software developer and project manager, James was tasked with building a software application to manage and track the entire drone program on a corporate level—keeping track of aircraft, pilots, flights, insurance, licensing, and more. He was delighted to find that such a platform already existed. Raycom uses Skyward to log all flights, schedule pilots, track maintenance, produce compliance reports, and much more. Even in a time crunch—James says that drone crews have less than five minutes before deploying for most breaking news—Skyward enables pilots to check the airspace, plan the operation, and know where they’re flying. “If a drone goes into the air, it goes into Skyward first,” James says. After gathering footage, the pilot logs the flight in Skyward, increasing total logged hours for both the pilot and the station and proving that drone ops are bringing value to the newsroom. From start to finish, Skyward helps Raycom ensure their pilots are operating safely and in compliance with regulations. “Across 50 different stations, 50 different groups of people, there’s one place to go to manage everything in our drone operation,” James says. Even with a management system in place, Raycom knew they had to develop a comprehensive set of procedures—standards that would be followed by all of Raycom’s stations. 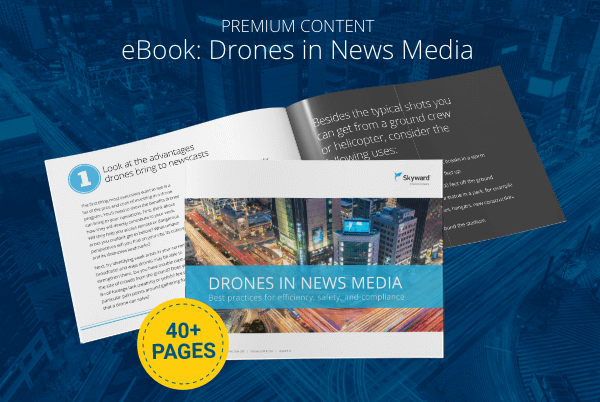 To ensure safety and professionalism, Raycom put together their own drone operations manual with policies and procedures, layered on top of the FAA requirements, that hold their pilots to a higher standard. Raycom also made the decision to standardize on one model of drone, and centralize all drone procurement. “Every drone goes through me,” James said. “I do all the firmware updates, purchasing, testing, and processing for every drone we use at our stations.” So far, he says, he’s processed 24 Yuneec Typhoon H drones, with many more planned in the coming months. Accordingly, Raycom has taken steps to maintain a positive public image for their drone programs. To begin with, all drone operators are required to wear safety vests with station logos so viewers and passersby know there is a professional flying a drone—not just a hobbyist who may be flying irresponsibly. As an extra layer of security, a visual observer is required for every flight. Whenever possible, a third operator controls the camera so the pilot can focus on flying, not footage. In addition, many stations have created public promotions to advertise their drone, highlighting the benefits it brings to the public. With the public aware of the drone program, stations can more easily demonstrate how the drone is being used for the good of the community—not to invade privacy. These precautions reduce risk and demonstrate Raycom’s commitment to safety and compliance, as well as quality. In addition to having their pilots take online courses, like Remote Pilot 101, to become knowledgeable about the rules for flying in the public airspace, Raycom also created their own flight proficiency test, to ensure that their pilots can execute both basic and complicated maneuvers with their assigned drone. This includes flying along a rope laid out on the ground in geometric shapes, and circling a pole while keeping the camera trained on the pole the whole time. Practicing specific maneuvers based on the camera’s point view are critical to Raycom drone operations. “We don’t just want a camera in the air; we want a camera in the air that can get good footage, good production value,” James says. Furthermore, every pilot is required to fly for a minimum of 30 minutes every 30 days to maintain their “ready to fly” status. That way, James explains, pilots remain familiar with the drone and won’t lose their cool in the field. “When you’re out in the field in a high-pressure situation, with video feeding live from the drone out to thousands of viewers, having the pilot forget how the drone works would not be good,” he says. Drone coverage of natural disasters has produced some of the most impressive footage yet. Reporters have been able to gather remarkable shots of floods, wildfires, and tornado damage that they have never had access to before.